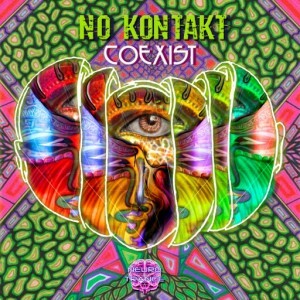 Neurotrance Records returns with a new release by Portuguese producer No Kontakt entitled Coexist. Trending into full-on psytrance territory, this release features melodic leads and deep acid textures designed to yield a refreshingly harmonic experience. Mastered by Erofex with artwork by La Damaranha. MP3 Download | FLAC Download | WAV Download · Download count: 4,078.
nice sounds , good production quality ! Great release. Loved the groove!